On of my favorites of all the Lighthouses I've seen. Good catch with the light rays! Beautiful image....love the rays of light! 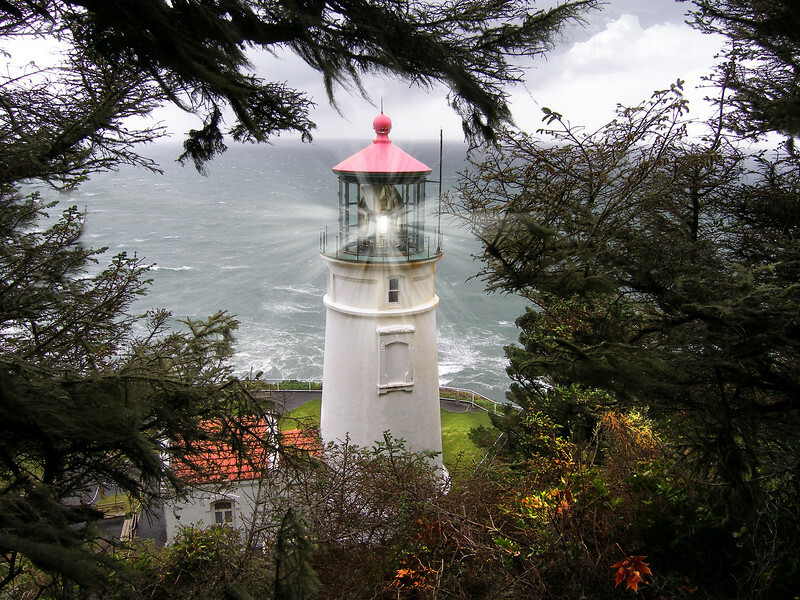 Nice shot, but I don't think this is the Cape Meares Lighthouse. Heceta Head?